This decision means that if AUSG President Devontae Torriente pressured outgoing AUSG Secretary Faith Rokowski into resigning, then the AUSG Undergraduate Senate Committee on Oversight and Accountability can look at launching an investigation, and potential impeachment hearings. 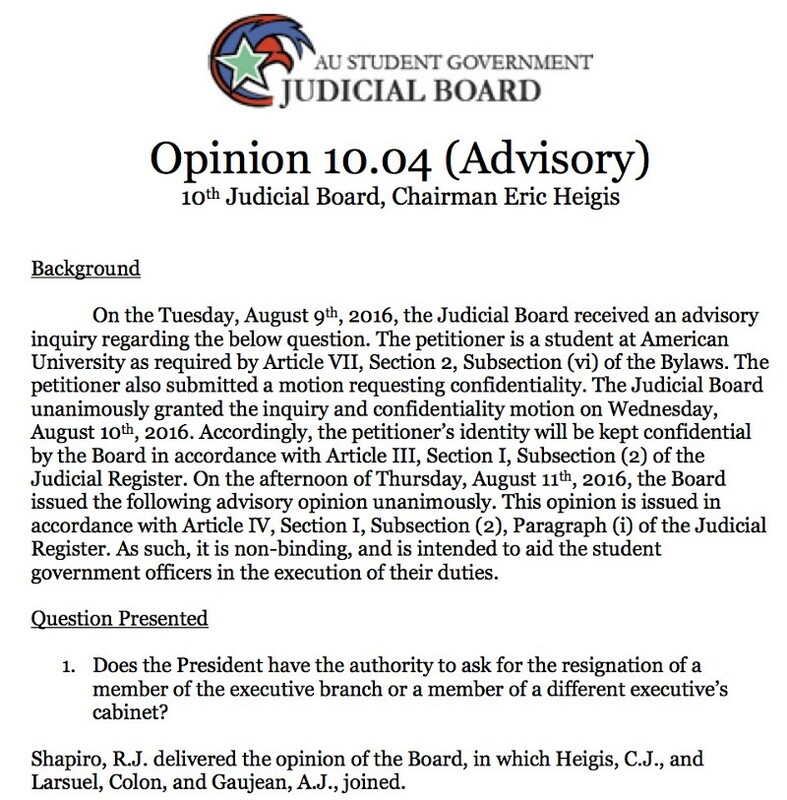 The Judicial Board can also hold a judicial inquiry into potential sanctions on President Torriente if a member of AUSG with standing in the situation brings forward a question to the Judicial Board. This decision puts forth an official standard of what the Judicial Board expects from AUSG Executive Board members. It does not have any concrete impact other than stating the opinion of the Judicial Board. However, consequences can occur if a Senate investigation or judicial inquiry is held.